The North County TRANSporter began operating on August 6, 2012. During its first week, 399 passengers were served. Lancaster – The North County Transporter has reached a major milestone. The fledgling service has provided 50,000 rides to Antelope Valley residents over the past 17 months. The Antelope Valley Transit Authority (AVTA) is celebrating this accomplishment as a major success and a tribute to Los Angeles County Supervisor Michael Antonovich who championed the idea and is providing county funding for two years. 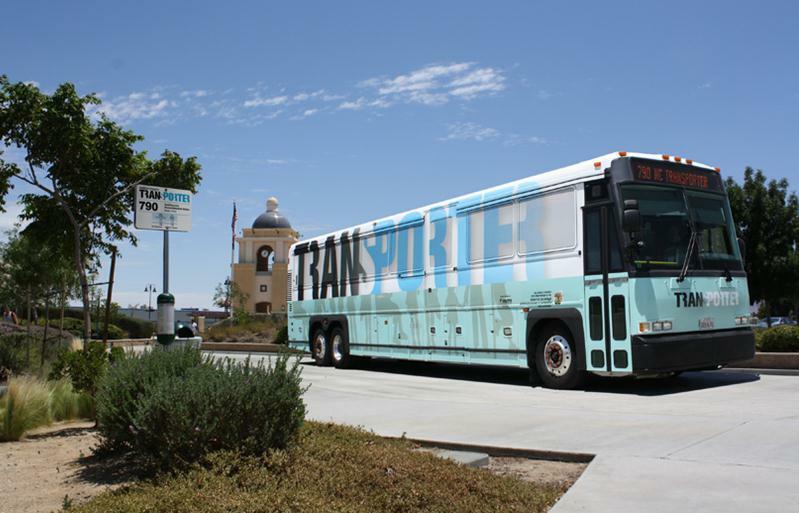 The North County TRANSporter is a midday bus service connecting the Antelope Valley to the Newhall Metrolink Station. The service closes a transportation gap in the middle of the day which kept valley residents from being able to leave or return to the region using public transportation. The North County TRANSporter began operating on August 6, 2012. During its first week, a total of 399 passengers were served. The TRANSporter now boasts weekly ridership levels of more than 900 passengers and is expected to sustain itself after the initial county funding goes away in August of 2014. AVTA provides local, commuter and dial-a-ride service to a population of more than 450,000 residents in the cities of Lancaster and Palmdale as well as the unincorporated portions of northern Los Angeles County. 1 comment for "TRANSporter reaches milestone"
As a resident of Newhall i hate to see the mess of trash that is left behind by the LA Residents. Newhall metrolink station is a smoking pot/drinking place while they wait for the bus to show up. I hope this bus stop changes locations.